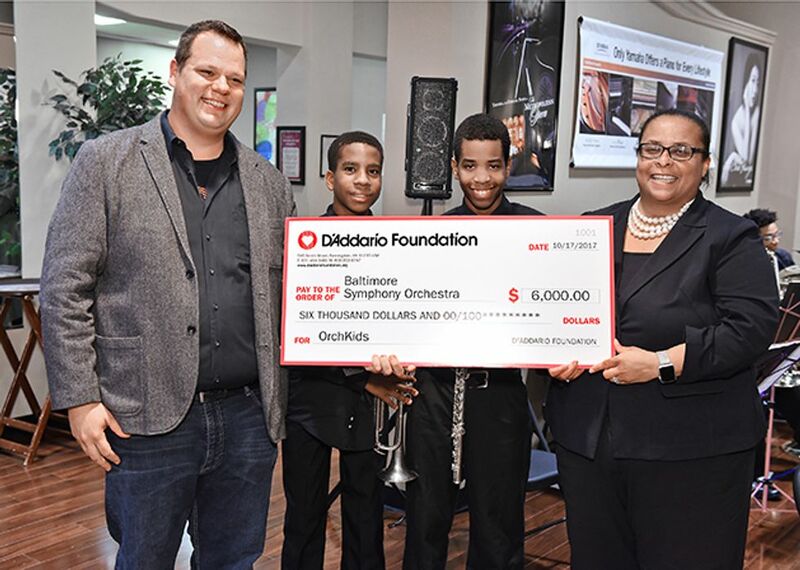 The D’Addario Foundation, a 501(c)3 nonprofit grant-maker that supports transformative music education organizations, held three grant presentation events in October. Hosted by Ted Brown Music in Tacoma, WA, Beacock Music in Vancouver, WA, and Menchey Music in Timonium, MD, deserving not-for-profits including Seattle JazzED, Metropolitan Youth Symphony, Baltimore Symphony Orchestra, and more were given awards by store owners and D’Addario & Co. sales managers on behalf of the D’Addario Foundation. In total, $46,000 in grants were formally handed out at check presentations so far this year. Moreover, The D’Addario Foundation has awarded over $517,000 in year-to-date monetary and product donations to 242 music education not-for-profits in 40 states and 6 countries outside of the US. Coming up on November 14th in partnership with Nick Rail Music, The D’Addario Foundation will hold another grant presentation event recognizing not-for-profits in southern CA at the D’Addario & Co. Woodwinds Facility in Sun Valley, CA.